Greg joined On Air as one of its earliest members in 1985 after moving west from Michigan. 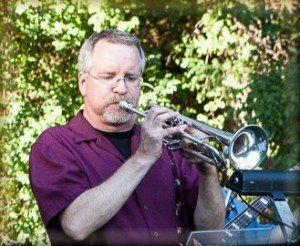 In addition to playing screaming trumpet leads and solos, Greg is also the primary arranger for the band. As a youngster, Greg once performed at The White House. As an adult, he teaches high school physics and math, is married and has two step-children.